Just a mention here for our guys at Dacre. Very friendly, with an ability to deliver. Some of our impossible deadlines have been met with with amazing zest. Like er.....' but we want to camp at Whitby Jes, cant you just do those back corners?' The guy has worked till the small hours on occasion cos he said that bit would be done ! 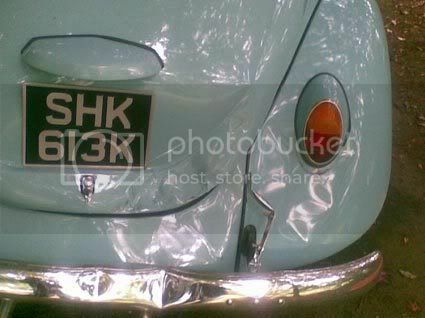 check out; www.dubtricks.co.uk/ Bodywork, mechanical and a flare for the bizarre. I met Jez at Harewood House and he seems a real genuine fella with a real passion for VW's and his job - working till the early hours on Steve's van is testiment to that! Jez gave me a load of flyers to hand out within the club but I forgot them on Sunday, so I'll bring them along to Bradford & Districts BBQ on the 17th and dish them out there. Harrogate and District VW Club. Poor thing looks sad with the arch removed. Whilst doing this side jes cut out the rust in the jacking point outrigger aswell as some chicken wire and filler that some bloke had used probably to get an MOT. Also the seat under pannel was replaced and pannels fitted to the floor behind the seat and rear inner arch before he put the interior back in. This work was only part of the project to date. Latest work was our engine bay that I have sprayed with justins help. Also we have put the sparkling recon engine in with a monza 4 tip sticking out the back. Percy has twin carbs now and a bit more chrome on the engine. she just keeps getting better & better & better & better..
Well its a bit different from Rabbit shows. Mind it's a lot flipping dearer. Er....its your fault we are broke! Keeps us in touch with my oily past. I was at the old fire station colledge , watching Mally Johnson (now has fishing shop Briggate,Knaresborough) putting engines on the dynamometer, just as our bay was rolling out the factory new. Sadly, forgotten some of the basics. All flooding back though. Old f+rts disease Chris says.. seen our kitchen table oops gonna get bashed now. helped. The snapon plug tester not suitable though. Need Percy out of drive and Lotty in to tweek. Noticed your message posted at 1.05am Daisybus. Another night shift ! Frankie got an active brain gonna be a vw Einstein. Sounds great Steve, can't wait to see her on Sunday! are these guys really that good? 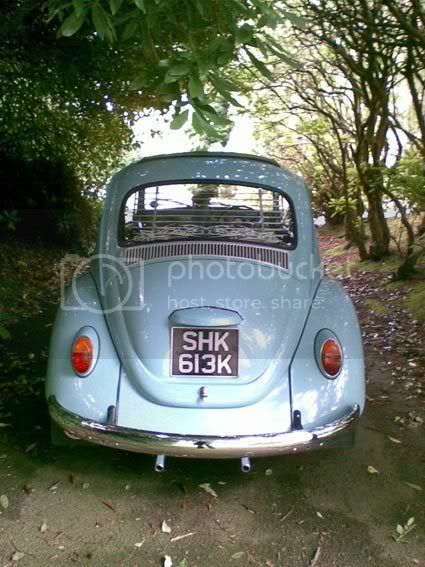 Just asking, as some idiot drove into the back of my bug last week and I'm going to need her fixing I've got an estimate from one restorer, but it's maybe a bit steep... could do with another. 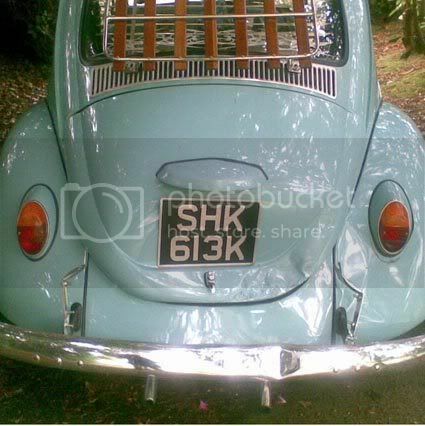 I have used Jez at Dubtricks on several occasions and he has always been friendly, knowledgable and fair about costs. 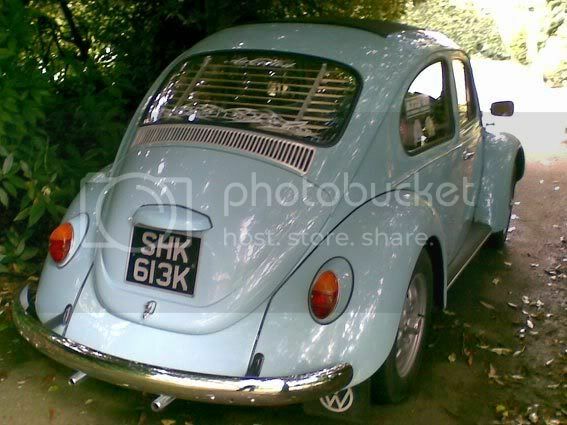 I would highly recommend his services as one of the leading classic VW garages in the area. yeah, had a nosey at the website... can't get through on the phone at the mo. Luckily as far as can be seen there's no engine damage... currently waiting for an accessor/engineer from the insurance company to ring me. Other party has admitted liability at least. Oh dear...not nice hey...hope you get it sorted soon, maybe before VW Festival! take care. I hope so. Just got through to Jez going to pop over and see him tomorrow. I'll stick some piccy's up once i've taken some. 1 month onwards, not bad going...loooking forward to your pics.